Limited Time Valentine’s Day Menu at Maria & Enzo’s and Enzo’s Hideaway in Disney Springs! It’s time to celebrate Valentine’s Day, and what better way to do that than with some Italian comfort food and good drinks? At Disney Springs, Maria and Enzo have your back with special menu items this week. 2013 Epcot Food and Wine Festival Review: The Chocolate Dinner! How many times have you said to yourself, “I wish I could eat CHOCOLATE for dinner!!! !” I know. TONS, right? Well the dream has finally come true! 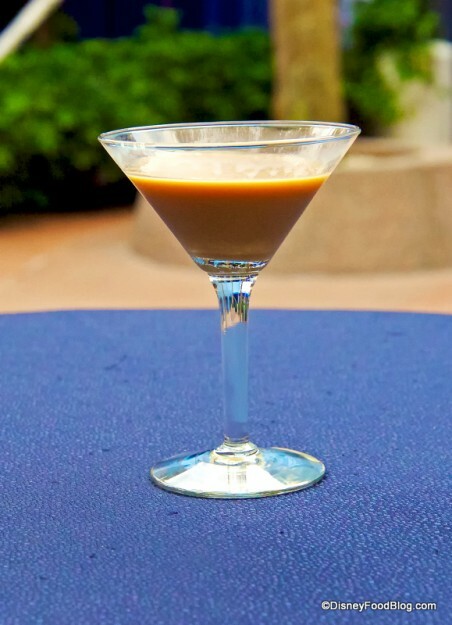 And it happened at the 2013 Epcot Food and Wine Festival! 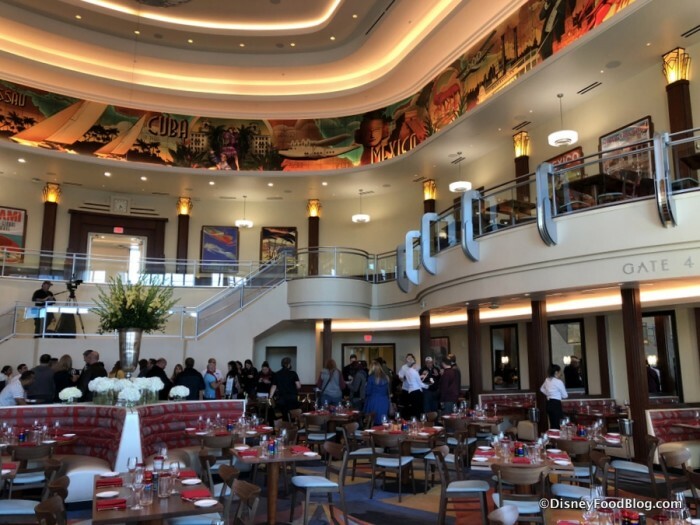 This year, a brand new signature dining experience kicked off the festival during opening weekend. 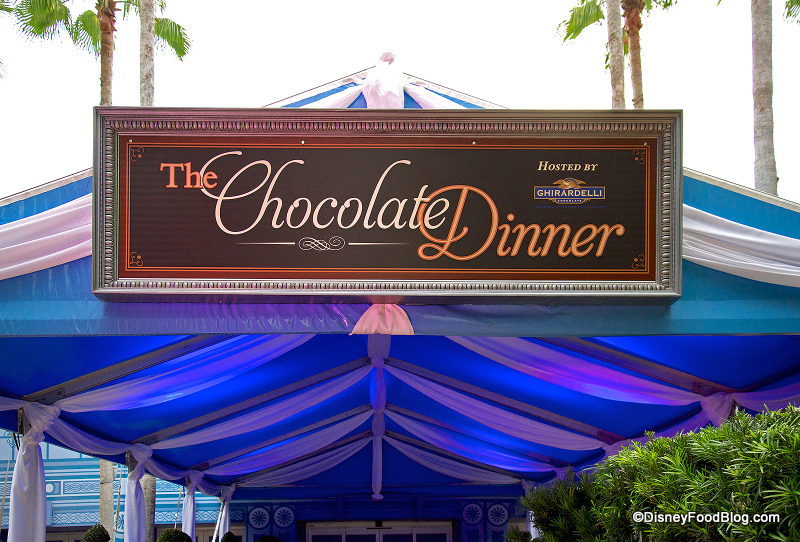 The Chocolate Dinner, hosted by Ghirardelli Chocolate, promised to be a sumptuous experience for the discriminating chocolate lover. 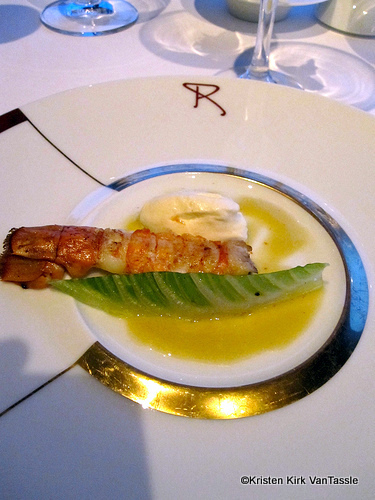 The dinner consisted of a reception, followed by six plated courses, presented by the Disney chefs who created them. Let’s head over to Epcot’s World Showplace Event Pavilion for a look at this decadent event! Ever wonder what’s behind those enormous brown doors between the Canada and UK Pavilions within Epcot’s World Showcase? You might, if you’ve never attended an event at the World Showplace Pavilion. But if you look closely at your Epcot map, you’ll see it there. That was the setting for the evening’s event, and the sign above the beautiful awning announced it in style. Pan back a bit, and you can see the main entrance to the building. A reception preceding the plated dinner took place in the World Showplace courtyard, to the left of the main entrance. As we entered through the massive brown wooden doors, a team of servers greeted us with beverages. 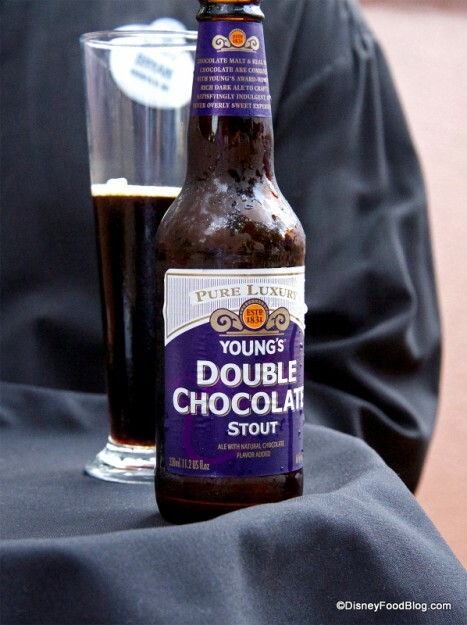 Guests could choose from Young’s Double Chocolate Stout, Chocolate Martinis, or Sparkling Wine. The drinks disappeared quickly every time the staff came out with another tray of them! A new cupcake and lots of foodie photos (and reviews) from the Epcot Food and Wine Festival are highlighted this week! Let’s get right to the yummy news. 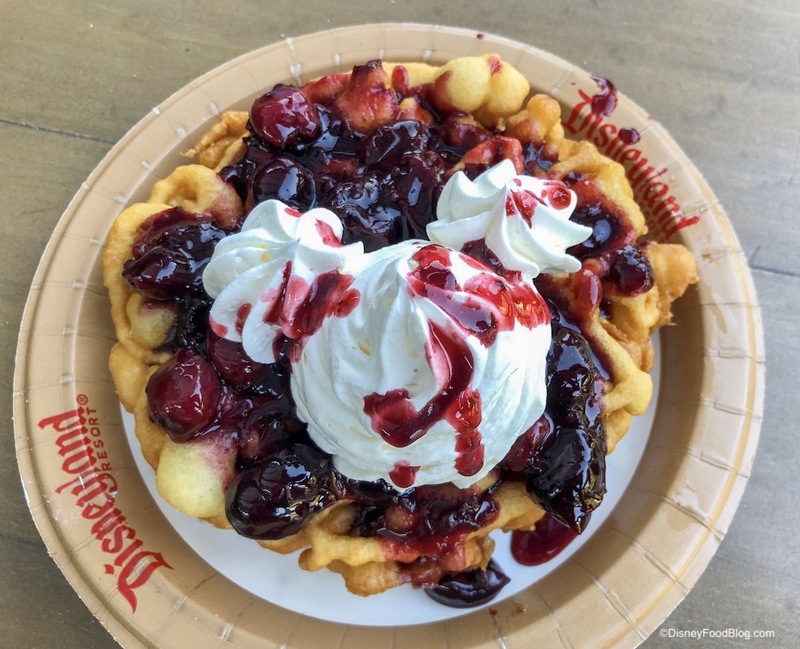 Read on for this week’s Disney Food news highlights! Reviews from Germany and Brewer’s Collection booths, Italy and Greece booths and the Singapore and Belgium booths at the 2011 Epcot Food and Wine Festival! A touchscreen ordering booth has popped up at the Epcot Food & Wine Festival! Check out the Disneyland Soundsational menu items for possible inclusion on future park menus! It’s always breaking news when a new cupcake is spotted! 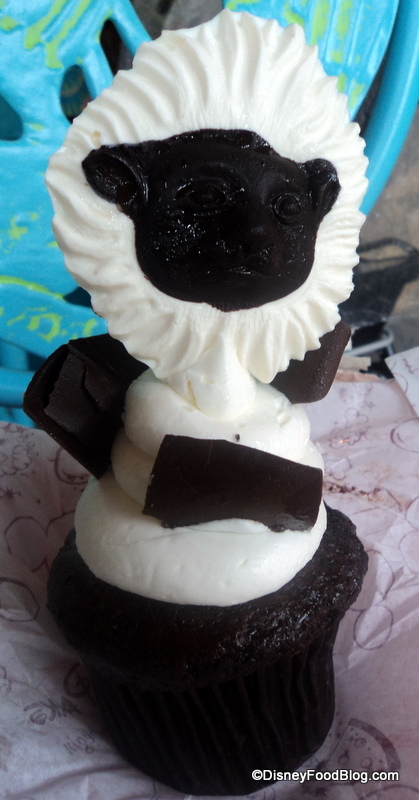 Introducing the Cottontop Tamarin cupcake at Animal Kingdom. Wow! Don’t forget to stay up-to-date with our Epcot Food & Wine Festival coverage — we’re still buzzing with news, reviews, and updates over on our Epcot Food & Wine Festival Pages! 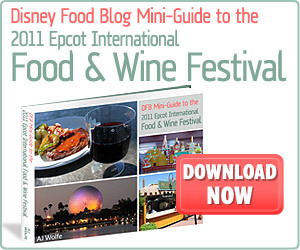 If you want some tried and true picks, it’s worth it to check out the Disney Food Blog Mini-Guide to the 2011 Epcot International Food and Wine Festival, which features five themed “crawls” you can use to tackle the World Showcase marketplaces. Read the full review here! You can get YOUR copy of our new e-Book right here! Be sure to use code CHEF at check-out for a $2 discount! Walt Disney World for Grownups says Aloha! 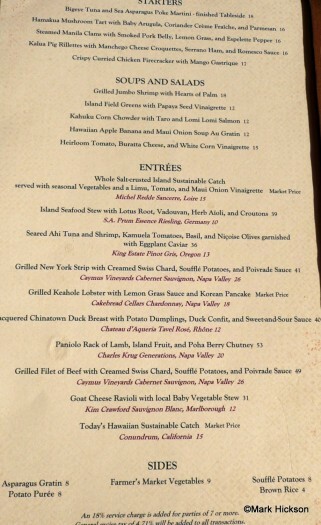 Escape to the Tambu Lounge for a Lapu Lapu and some yummy new bar food! The bread service looks delicious! Main Street Gazette provides a catalog of Epcot’s restaurant signs! Love this! 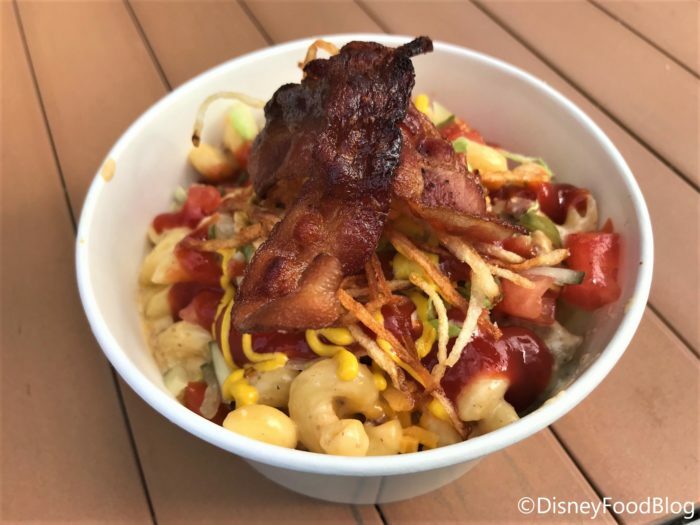 DisneyTouristBlog.com names some top snacks at the Food and Wine Festival, along with gorgeous taste-testing photos! Stitch Kingdom offers the latest news on new Disney’s Art of Animation Resort, which will open in stages beginning May 31, 2012. We can’t wait to taste-test the fresh smoothies, hand-scooped gelato and Mongolian barbecue in the food court! AllEars.Net has updated Blizzard Beach menus, including the eats at Lottawatta Lodge. 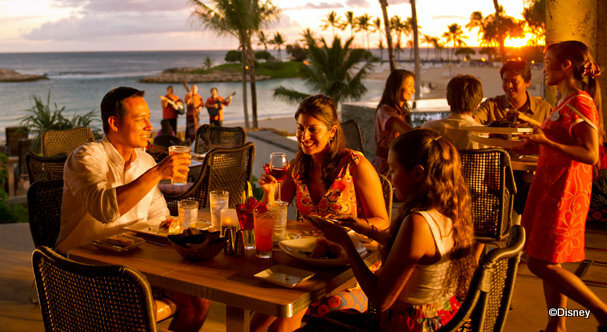 We’re so excited to have a review of Disney’s Aulani Resort’s premier restaurant just a few days after its opening! Mark Hickson is a Disney fan, a former Disney Imagineer, and a Hawai’i resident and food blogger (among many other things). We’re honored to share this article with our readers. Thanks, Mark! So the resort has been open for five days now and I thought it would be the perfect time to dine in the resort’s signature restaurant, ‘AMA ‘AMA. 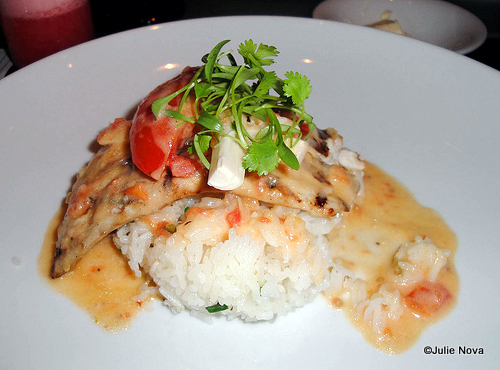 The restaurant is named after the tasty mullet fish ʻamaʻama that us locals enjoy. The setting is an open air thatched roof fishing shack and a minimalist fishing factory with concrete pillars and a large fish holding tanks complete with pipeline and spigot. Of all the beautiful facilities at Aulani Resort this place’s theme is the only one that doesn’t work. 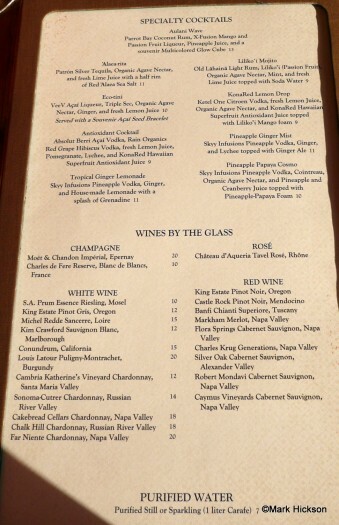 Our reservations were for 5:30pm and my wife and I were seated directly. Unfortunately since it is an open air dining area (no walls), the sun was low enough to shine in so it was very bright and hot at our table. In retrospect I would wait until sunset to be seated.